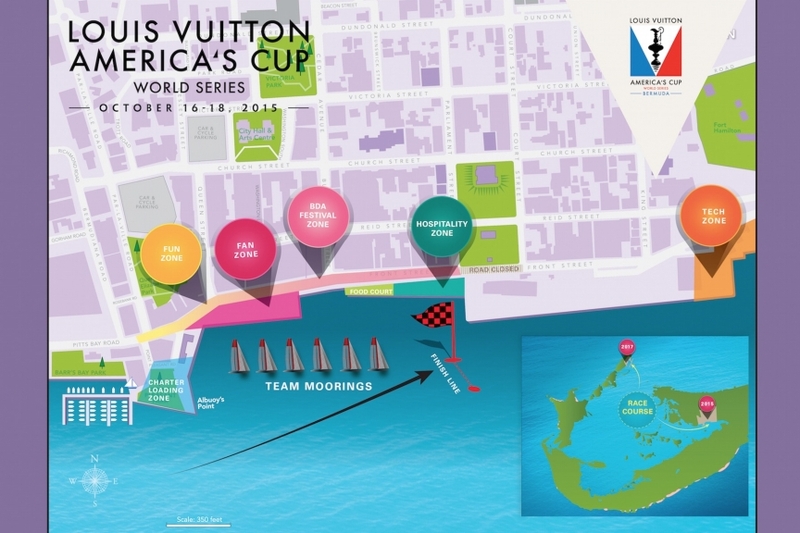 With barely a month left until the Louis Vuitton America's Cup World Series preliminary race in Bermuda, the entire island is beginning to buzz with excitement. The race is scheduled to take place in the Great Sound on the waters off Hamilton, but there's more to this event than just watching the race. Alongside the coast an Event Village will be set up to help all of our fans and guests enjoy this momentous event. A special Fan Zone will be designated on the No. 1 Dock for viewing the race, but behind it on Front Street near Pitts Bay Road a Fun Zone will be set up complete with entertainment and activities, while further down Front Street the BDA Festival Zone will be set up with live music and food. A food court will also be set up on the No. 6 Dock, which will serve as the Hospitality Zone. If you're looking for more entertainment than just the race, on water programs will be run on the Hamilton waterfront each day prior to the race in order to set the mood and invigorate the event village with energy. Stakeholders, businesses, entertainers, and artists alike have been invited to participate in making this event incredible, and the more time they donate to the Event village and the race, the better your experience becomes. No matter where you're planning on enjoying the event, the entirety of Hamilton will be transformed during the span of the race to create an atmosphere of excitement and energy in order to inspire both racers and fans alike.